Castle Hill School works with staff, pupils and parents / carers to create a school community which values the use of new technologies to enhance learning. As part of this process we encourage the responsible use of ICT and follow agreed policies to minimise potential e-safety risks. We discuss, monitor and review our e-safety policy on a regular basis, linking it with other relevant policies such as those related to Safeguarding and Pupil Behaviour. We support staff in the use of ICT as an essential tool for enhancing learning and communication and ensure that pupils are able to access technology in a safe manor. 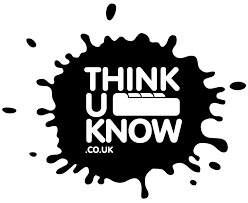 Thinkuknow is an education website from the National Crime Agency’s CEOP Command.Since 2006, Thinkuknow has been keeping children and young people safe by providing education about sexual abuse and sexual exploitation. Access the Vodafone Digital Parenting Guide here for useful safety advice. the UK Safer Internet Centre, where you can find e-safety tips, advice and resources to help children and young people stay safe online. “CEOP works with child protection partners across the UK and overseas to identify the main threats to children and coordinates activity against these threats to bring offenders to account. CEOP protects children from harm on-line and offline, both directly and in partnership with local and international agencies.” Click on the link if you or somebody you know of has been, or may be, the victim of on-line harassment, bullying or exploitation.